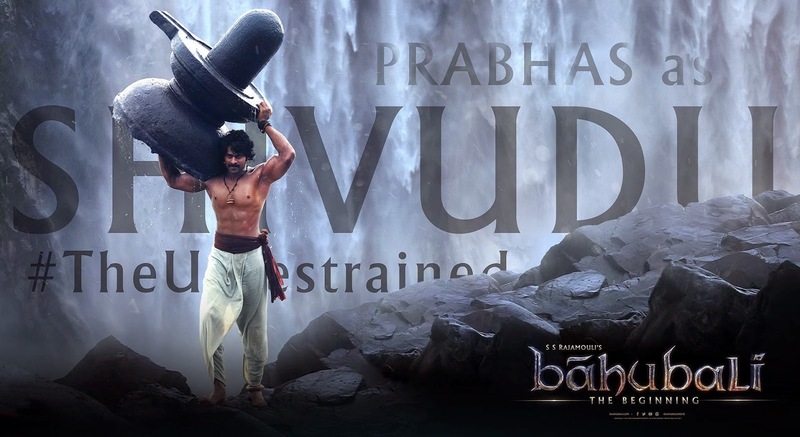 Here comes the second Poster from the film Baahubali which is a Introduction poster of Prabha's One of the role Shivudu, Prabhas appeared in a 6 Pack Getup by carrying a Big Shivalinga on his shoulder. This will be really a Goosebumbs for the Prabhas Fans. Stay tuned for more posters from BAAHUBALI.